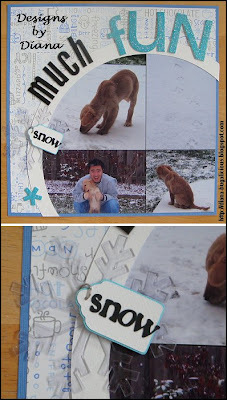 This month's challenge on the cricut messageboard was to create a card or a LO with a tag cut out from any cartridge. Since I am so far behind in LOs, I choose to do a LO of my baby's first time playing in the snow. I went to the CK convention today. I had so much fun and spent way too much! LoL. 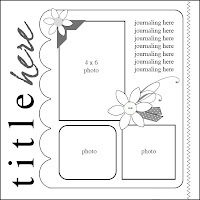 My favorite purchase is Technique Tuesday's Technique Tiles. They look like they'll be fun and add so much depth & dimension to my LOs. I'm not quite sure how to use them, though. I wish I had been able to take some of the classes, but there's always next year! 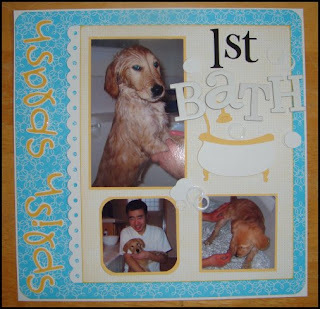 "splish splash" = AMU @ 1"
bath tub = new arrivals @ 2.25"